It has been announced that the result will be announced on 31 March, 2019 around 10:00amin the morning. Lahore, Gujranwala, Faisalabad, Rawalpindi, Bahawalpur, Khan ,Sahiwal BISE Board result will also announced on the same day same time. PEC is responsible for taking the 5 and 8 class exams and giving the result in the month of March. 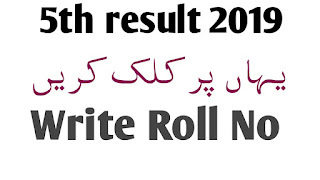 There are doubts of result announcement in the minds of students as it is Sunday on 31st March 2019 the institutions are closed on Sundays all over Pakistan. So Punjab Examination Commission has decided to declare 5 and 8 grade result 2019.